DON’T apply fragrance to the face, particularly if it’s an Eau de Toilette as its high oil content will cause irritation. DO apply in the right areas. Get to know your pulse points (wrists and neck). It is these places where the blood flows closer to the surface that will unlock the power of your fragrance. DON’T ever apply a fragrance directly onto your clothing because not only will it not develop properly, you also risk damaging your favourite shirt, tie etc. DO spray onto a freshly bathed (and dried) body. DON’T overload yourself. Your nose will adapt to your chosen smell and make it seem less potent. Also be aware of the words ‘intense’ and ‘concentrate’ when connected with a fragrance, and approach these with caution. DO layer up. If you have a favourite fragrance invest in the multiple products from the same range (shave foam, balm, deodorant etc). 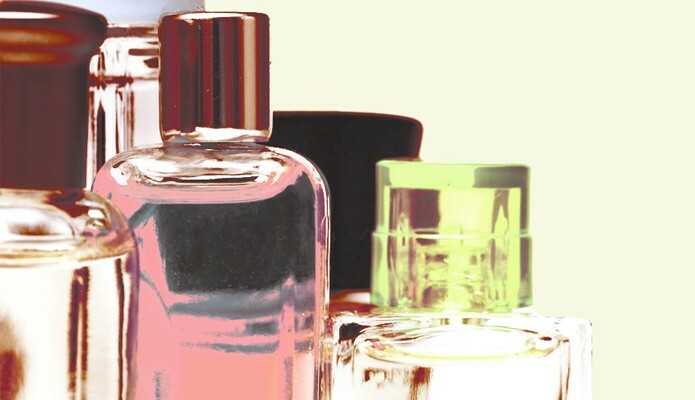 Many body products are over fragranced, and sticking to one fragrance will prevent you from wearing a heady cocktail of competing smells.